If this sounds familiar, you are not alone! Many people find it difficult to reach behind their necks far enough to fasten the “chest” strap, much less move it low enough on their back for comfort. That’s where the T-shirt method comes in. This hack is a great way to get your buckle carrier on without having to turn yourself into a pretzel. 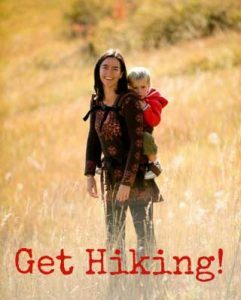 Solo babywearing, here you come! The T-shirt method works with any buckle or soft structured carrier that has a chest strap for attaching the shoulder straps of the carrier together, such as the Ergobaby 360 Carrier, Tula Carriers and many others. 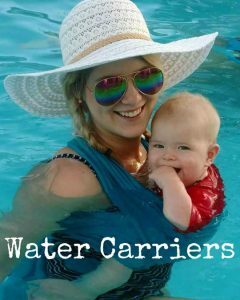 You can also use this method with carriers where the straps cross in back, although with those carriers (like the Pikkolo, the Ergobaby Adapt and the Beco Gemini) I prefer to just cross the straps on my back). So here’s a quick video from Ergobaby on the t-shirt method of putting on your buckle carrier. Fit Check: Is your buckle carrier comfortable? This checklist can help!